Golden (BC), Canada – A skier from Quebec is lucky to be alive after spending six nights alone in the British Columbia backcountry. 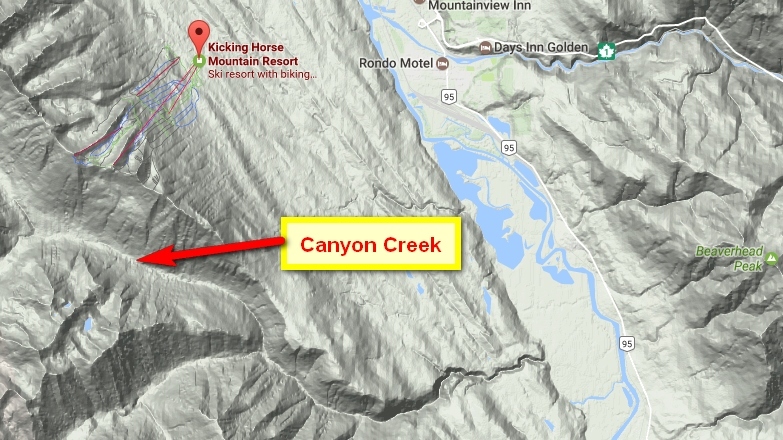 The 35-year-old man, who has not been identified, ducked a rope at Kicking Horse Mountain Resort on Jan. 29 in search of untracked powder, but unwittingly descended into the Canyon Creek drainage south of the resort where he became lost on the mountain’s back side. Convinced that continuing downhill would lead him back to civilization, the man pressed on. While his presumption is indeed true, Canyon Creek flows for about 10 miles behind the resort before emptying into the Columbia River valley, and in deep snow the man’s progress was painfully slow. He also realized that without anyone being aware of his ski plans, it was unlikely that anyone would come looking for him anytime soon. 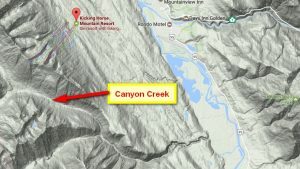 The victim’s car, with Quebec plates, was noticed in the parking lot of Kicking Horse, but at first it was believed that the owner was simply camping in the backcountry. By Friday, Feb. 3, however, it was clear that something wasn’t right. It wasn’t until Saturday, Feb. 4 that the Golden Detachment of the RCMP requested the assistance of the Golden and District Search and Rescue (GADSAR) to locate the missing skier, after efforts to reach the cars owner were unsuccessful. 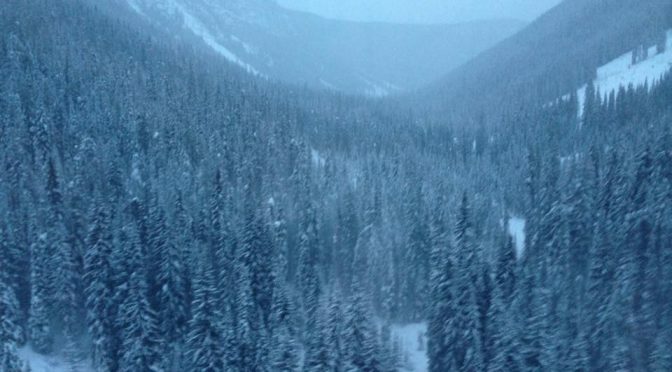 Three search and rescue techs boarded a helicopter and began an air search, and despite three inches of new snow they were able to spot and follow the victim’s tracks nearly five miles south of Kicking Horse. The man was airlifted to a hospital in Golden, where he was treated for his injuries. 1. Make a Plan: Where are you going, when will you return, how will you call for help if you need it? 2. Travel with Friends: You can look out for each other and help each other make decisions. 3. Tell Someone Else about your plan, someone who will call for help if you haven’t returned on time. 4. 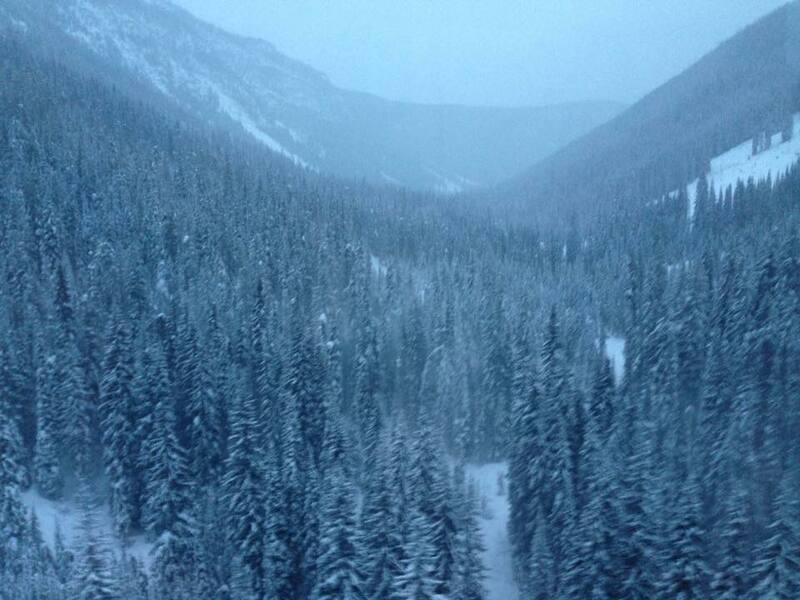 Educate yourself about avalanche risks and backcountry travel.